Umm… Spoiler Warning. Just sayin. This Thanksgiving Break, I wrote over 27,000 words, most toward my current novel. In the moments that I wasn’t stuffing my face, sleeping, or writing, I needed a break. The gym was closed, (don’t laugh at me, I go to the gym to get a break, release stress, and listen to audio books) and there weren’t exactly many options open to us. We made a few exceptions and watched some movies. Movies are one of my favorite ways to get a break from writing, because I can experience a totally different story from beginning to end in just an hour and a half. I can experience setting, character, and plot and if the movie is good – I have a good time. 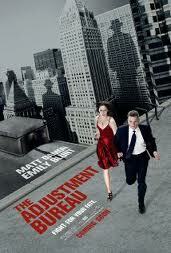 I started things off right with the Adjustment Bureau. I’d already seen this in the theater, and loved it from beginning to end. Basically it’s a Romance with an almost-Matrixy feel, involving these men wearing suits and bowler hats who control the future of human society. Matt Damon’s character (David) discovers these men at work (through a slip-up), and is told that he has to stay away from a girl he likes because “the plan says so”. It’s a classic love vs. fate plotline. A professional critic wrote a review that warned that the ending was cheesy, and I’ll have to say… yeah, I agree. But it’s the good kind of cheese, the kind that you want extra on that pizza that Kevin orders just for him. It’s the kind of cheese that makes me feel warm and good inside, and I love it. What I learned from the Adjustment Bureau: People are writing stories that I would have totally come up with, and they’re getting made into movies. I do not have singular tastes, and I should trust my ideas more. 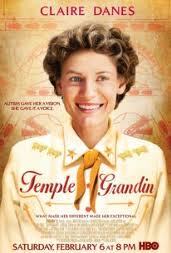 Next, I watched Temple Grandin with my family. It is based on the true life story of Temple Grandin, a doctor of animal science, widely known for her voice on the experience of being autistic. I have been looking forward to this movie for a long time, and was not disappointed; it was riveting, and very educational for anyone who is curious about how autism works. What I learned from Temple Grandin: Mostly that I just really respect the lady, and that I want to read her book “Emergence” as soon as I can. Since this was based on a real-life story, the only plotting lesson I could learn is that life really can supply some of the best inspiration for conflict and opposition. I’m a guy that likes Romances. Usually I prefer Romantic Comedies, but I can watch something more sentimental if it has some wit to it. 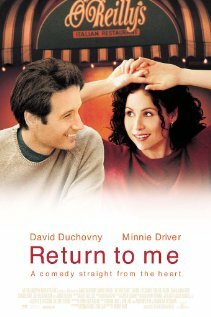 I’d borrowed Return to Me months ago from my sister, and eventually got too busy with the wedding for movies. Now seemed like the best time to watch it. She warned me that it was a bit cheesy, but that she loved the old men in the movie. I actually thought it was a really touching story. However (and it’s this part that usually gets me into trouble), the reason the story was so corny was because the conflict at the end was so unbelievable. The whole thing hinges on Grace being unable to confess that she’s had a heart transplant, even though it would have fit really easily into some of the conversations they had. Now let me come back to what I was saying originally. I thought the movie was charming. It was, for the most part, a great balance of sentimentality with a dash of witty humor. I loved the characters. I loved the dialogue. If these two were mine and Sara’s friends, it would have made a REALLY cute dinner story to tell folks. I really enjoyed… almost the entire movie. It was just the ending that fell apart, all because the conflict was so impossible to believe. Not only that, but the “Character can’t tell the truth about something” conflict is a horrible choice, and smacks of Disney TV movies. 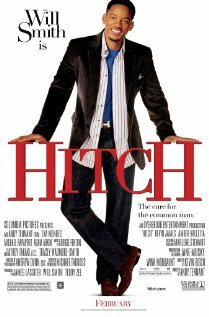 If you want to see an example of this kind of conflict done RIGHT, watch Hitch. You’ll notice that the conflict was built out of a lot more than just “Hitch didn’t tell her what he does for a living”. It had all sorts of problems; the paparazzi, Alfred’s insecurity, Sara’s strong personality and desire to defend her friend, the fact that their relationship has been relatively short, and the nature of Hitch’s job ALL lead together to make the conflict work. All the same, if you’re constructing a romance, I would strongly encourage you to look for a different conflict than “this character can’t tell the truth for some reason”. Cool Runnings was one of my very favorite movies as a kid. I haven’t seen it since I was about 10, and I never had the opportunity to watch it until recently when it was found in Sara’s collection. Even then, she put it in and I walked in partway through and got caught up in it. I don’t know why I didn’t put it in myself… I think part of me was afraid the same thing would happen as when I watched Three Ninjas when I was older and realized it was a really, really dumb film. 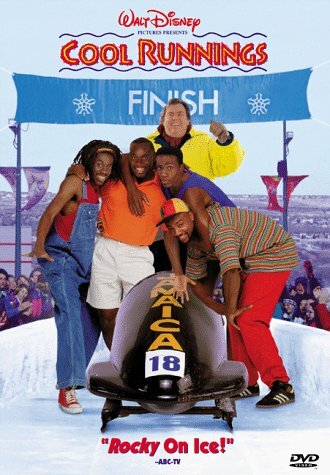 That killed one of my favorite movie experiences, and I didn’t want to taint Cool Runnings in my memory. Whatever your opinion about cheesy Live-Action movie films from the 90s, this film is still awesome. It was about a laugh a minute, and I absolutely love the ending. The movie peppers in conflict throughout, so that instead of getting one huge showdown of hero vs. villain at the end, we watch the team overcome adversity time and time again. I loved it! I don’t think stories always need to have everything converge at the end. This felt authentic, despite the funny jokes in bad accents, overall silliness, and corny moving speeches from John Candy. Once again, I felt that the sled-breaking in the end felt somewhat fateful, like a slice of life and deus ex machina all rolled into one. But that’s okay. I could believe it would happen. So the convergence of all these lessons comes to this; If you want to write any idea or genre and you don’t know if it will be well-received, just go for it. Just avoid the “can’t tell the truth” as a major conflict, and make the heroine’s heart act up and put her in the hospital instead. Makes more sense anyway. Here’s the little tricks I’ve either learned or put to good effect this week; I’m posting them as advice to myself, because I am dense enough to have to learn these things over and over. Start small – a half hour on and five to ten minutes off is a great way to get started, and yeah, even a half hour’s worth of words adds up! Allow yourself to write whatever, including your current frustrations. Likely doing so will help you through a problem, or at least warm up your writing muscles. Periodically keeping track of words/time spent is a great way to give yourself a pat on the back and keep you going, but don’t get obsessed with it. Writing comes first. After you hit word goal, do something else besides writing. Write in small increments. I know I kind of said this already on #1, but this is a BIG DEAL. Writing in 4 half-hour sessions may be more effective than trying to block out 2 hours of uninterrupted time. As a writing tutor, I run into this a lot with students. They often feel like they are bad writers, and they obsess with fixing their first draft. Can I share with you a piece of writing wisdom that may transform your life? Do you think you can handle it? First Drafts are not for fixing, but for rewriting entirely. Now that I’ve given you the scary part, let me soften it. The second draft is MUCH easier. It’s soooo much easier. The thing is, you already know what you want to say, and now you’re saying it better. Once you’re able to get past the scariness of “more work”, you may find this fact to be liberating. You mean you don’t have to get it all perfectly the first time? No. Far from it. Stephen King includes an exerpt from his short story 1408 in On Writing. Pick it up in the bookstore and look at it. It’s amazing to see how much this seasoned, professional writer transforms his drafts. Credit yourself for ANY WORK DONE. This means those pre-writing sessions, or the rants about your frustrations. All work done sitting down, in the word processor. (Sorry, Facebook and other internet distractions don’t count as work, but with a timer they can serve as a great breather! Use your phone or ipod to keep your internet time-wasting under strict control.) This is why I like to keep track of my hours spent writing as well as the words; because those hours are work, even if they were less productive than some. We get paid at our office jobs by the hour, although only an average of 30% of our work day is actually spent on productive work. The rest is pre-work, organization, and activities that help us recharge. During NaNoWriMo, it will not be to your advantage to make sure that you keep your manuscript orderly and neat. It won’t help you to keep rants out of the manuscript. 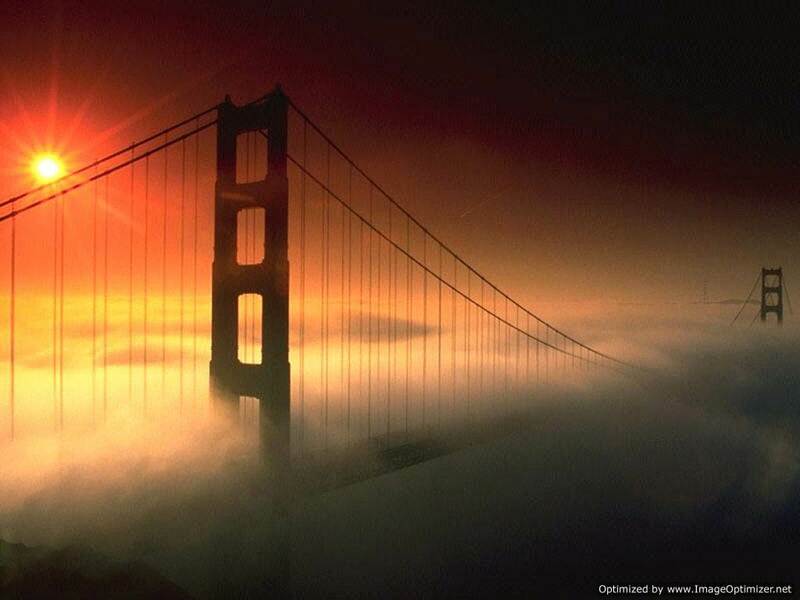 What will help you is anything that keeps you writing, keeps your hope up, and keeps you sane. Get to it. If you are writing, you’re a writer. That’s what NaNoWriMo is all about. Good luck on Week 2! Sometimes while writing, we know where we eventually want to end up in the story, but get stuck on exactly how to get there. I know my plucky heroine escapes the cyborg ninja, but how? I vaguely know the kind of triumph I want my characters to experience toward the end of the story, but what exactly is this and how does it come about? As I’ve said in some of my previous blogs, Creativity is Problem-Solving; asking questions, coming up with answers. In keeping with this knowledge, I’m going to impart wisdom I’ve learned from playing the violin; working backwards. Often violinists will learn and practice a new song from beginning to end. We learn the first few measures and lines, become comfortable with those, and move on until we’ve learned the entire song. The problem with this method is that the beginning, which has been practiced hundreds of times more than the ending, is the best part. But as we know in both songs and stories, the ending is the most important part. How do we fix this? Practice backwards. Play the last few measures, repeat. Add in the previous line, repeat. Do this until you get back to the beginning of the song – because if any part shines better than the rest of the song, we want that to be the end. I do both backwards flow-charts and lists. Basically, start with an ending you want; “Victorious, the plucky young hero is invited to join a secret organization.” In a flow chart, you circle this and draw a small line leading to your next point. Remember, creativity is coming up with questions and answers. Your next question is this; “What has to happen in order for this to be possible?” In my example, the answer requires her to be victorious at something. So my next step could say, “The heroine defeats the cyborg ninja and thwarts his evil plan.” Repeat. What has to happen in order for this to be possible? The ninja has to be on the verge of success. That, and, we need a better of an idea of exactly what his evil plan is. Continuing on with the list, or flow chart, will help us discover an evil plot for him! Keep in mind that while outlining and drafting, anything is subject to revision in further drafts. This is a good thing. It’s like those practice sessions on the violin; the ending will become better and more polished as you continue through your drafts.